King & CountryWelcome to the King & Country Landing Page a truly British brand with a Legend dating back to 1707 when the Act of the Union was signed to create the United Kingdom. King & Country is bursting onto the fashion scene with their, very much on trend, patriotic name and logo. 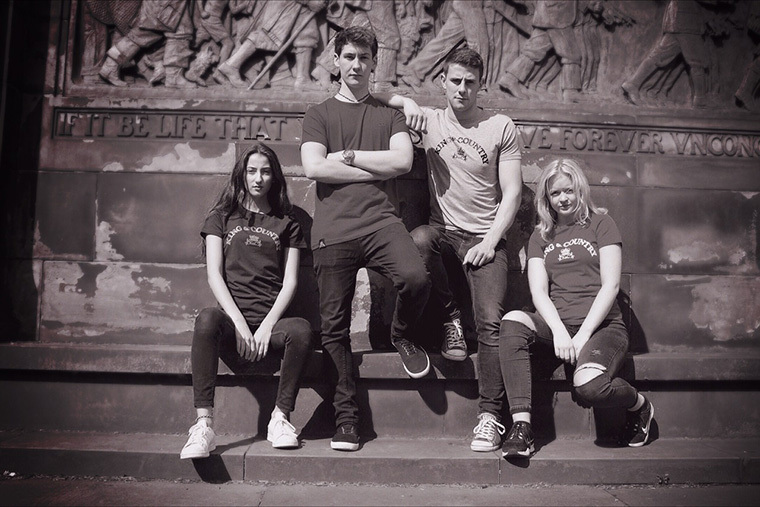 With great quality soft cotton fabrics and slim, stylish lines tailored for a perfect fit King & Country have created a wonderful mix of original retro sports casual fashion products with a hand crafted finish in Great Britain. We guarantee once you've made your first King & Country purchase you'll be back for more!